The Rifle Team shoots on Tuesday nights during the SSRP League season. In the Summer months they shoot outdoors on Tuesday evenings. Location Indoor Ranges when the team is at Home Matches. 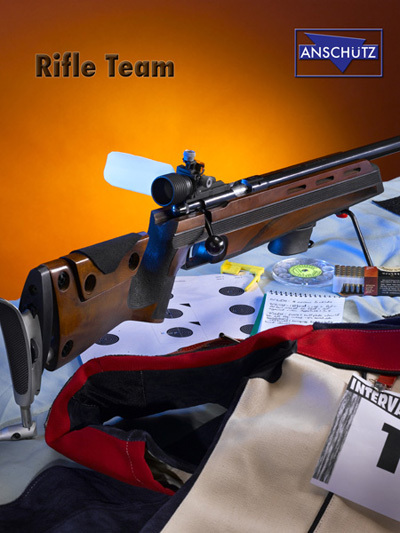 The Smallbore Rifle team uses Light Rifle and Precision Rifles. The course of fire is 30 rounds fired from three different positions. 10 rounds fire at 50 feet in the Prone position. 10 rounds fired in Standing position and 10 rounds fired from either Kneeling or Sitting. The Light Rifle category allows you to get into competing without making the investment of a Precision Rifle. Scopes are allowed to be used. Adults compete along side Juniors that want to shoot the matches. Practice is usually held on Sunday evenings.